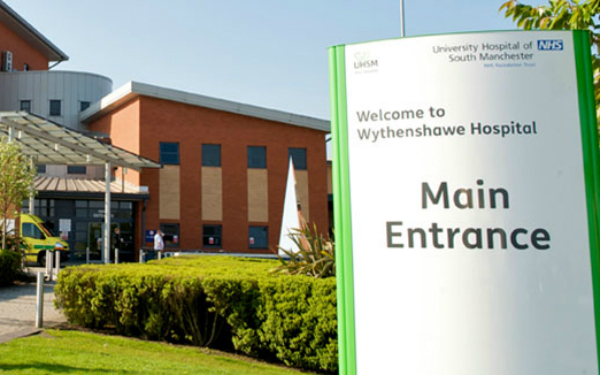 The Wythenshawe hospital in Manchester. I kind of fell into the role of hospital social worker. I’d always wanted to specialise in adult services. But because of the lack of jobs in the sector and the abundance of children’s posts, I decided to broaden my scope of experience, to improve my chances of landing a job upon completion of my degree. So, I sourced a placement (my final one) at a Sure Start centre. Unfortunately it fell through. I was left facing the prospect of having to defer my studies for a year because alternatives were thin on the ground. Luckily the practice educator I was assigned to managed to find a counterpart with availability to take on a student at my local hospital. It was a massive relief to have a placement; even better for it to be a statutory one, which would give me the experience I needed to start work. That relief turned to a sense of being overwhelmed when I began my placement. There was so much to learn in respect of policies and legislation – for example, the Mental Capacity Act 2005 and Community Care (Delayed Discharges) Act 2003. Thanks to the support of my practice educator I gradually got up to speed, and having to manage a diverse set of situations pushed my practice along and helped me grow in confidence – and to secure an agency post in the same team on completion of my degree. This was no walk in the park either. As a student, your work is overseen, but once qualified you’re suddenly responsible for your own practice and development – a scary prospect. Making decisions affecting the lives of others, who you want the best outcomes for, is a lot of responsibility and creates anxiety. It should also be noted that people don’t always achieve the outcomes they’d prefer. Sometimes the sole option is placement within a 24-hour care environment, which (although their needs can’t be met any other way) is often the last thing most citizens want. The role of social workers based in acute hospital settings is tricky to summarise. On an average day, I will conduct mental capacity assessments, best interests meetings and social need assessments, restart packages of care, increase and decrease packages of care and complete safeguarding investigations. The fast-paced environment often demands going above and beyond our usual duties, because people admitted to hospital are often at crisis point. We often face complex issues, for example handling tricky family dynamics where there are differing opinions on the best course of action. We have to acknowledge that the family members around the patient have their own anxieties and want the best for their relative. It takes effort to build rapport and ensure they’re well-informed about the options available to their relative upon discharge from hospital. But involving family members – and so sharing responsibility – can also make decision-making easier for us. Ultimately our priority is achieving a safe and timely discharge; trying to achieve the best outcome for the patient while ensuring they’re as involved as possible in the process and their views and wishes are given sufficient consideration. But it’s not, of course, just patients and families you need to forge ties with. Maintaining effective working relationships with health colleagues is crucial, given that it’s physiotherapists, occupational therapists and nurses (among others) who I rely on to provide much of the evidence I build into my assessments. The NHS has its own priorities, policies and procedures, which can sometimes conflict with those of the local authority social work department. For example, there’s quite often a shortage of available acute medical beds, so my health and social care colleagues and I have to work quickly to arrange safe discharges for patients in order to make the bed available for another patient. There’s an expectation from the health authority that all necessary social care services will be in place at the point when a patient becomes ‘medically fit for discharge’. But often, in order to arrange a safe discharge, the service provision required can take some time to be put in place. This is down to factors such as the availability of home care packages, or residential and nursing care beds. This can create delays in discharging people and thus put pressure on the hospital service; it can also place vulnerable people at risk of becoming institutionalised. It’s a huge challenge. Speaking of challenges, I often find myself having to question the professional judgements of health and social care colleagues. With the level of pressure experienced, it can seem easier to accept the medical team’s authority, but it’s vital to advocate for the service user and uphold the values of social work to ensure they retain their voice. Social workers have a pivotal role within the complex discharge planning process – we’re the glue that binds, and often coordinates multidisciplinary teams. We are advocates, mediators and signposters; the professionals tasked with upholding legal frameworks and committed to achieving social justice. Despite constant pressure, difficult conversations, challenges and complex cases, I feel blessed to be a hospital social worker, because I get to witness the lives of people I’ve worked with improve as a result of the support I have provided. Seeing people – who are often admitted in very poor condition – achieve goals and get better makes the stress and heartache worthwhile. Social work is a vital and continuously changing profession. I’m proud to continue supporting citizens to the best of my ability. At a time of austerity and great challenge, my colleagues and I help the most vulnerable people in society and achieve positive outcomes for as many of them as we can. We rock! A lovely piece and very well written. Completely accurate in my view as a hospital social worker in London! Brilliant. Thanks Natalie. Loved it. This is the rhetoric we need to hear. The job is an absolute privilege. We must concentrate on the life enhancing social work that we deliver and not alienate people by constant reference to how hard done by we are! If it’s tough for us, imagine how hard it is for the people we work to support.